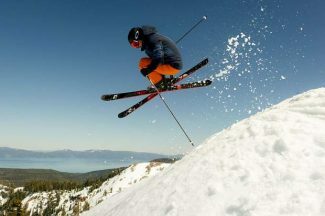 Jonny Moseley joined the Ski for MS series ahead of its March 2 date at Squaw Valley. 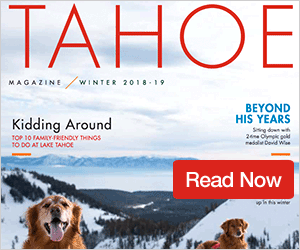 For nearly three decades, nonprofit organization Can Do Multiple Sclerosis has been making stops at Squaw Valley Alpine Meadows as part of its SKI for MS series. 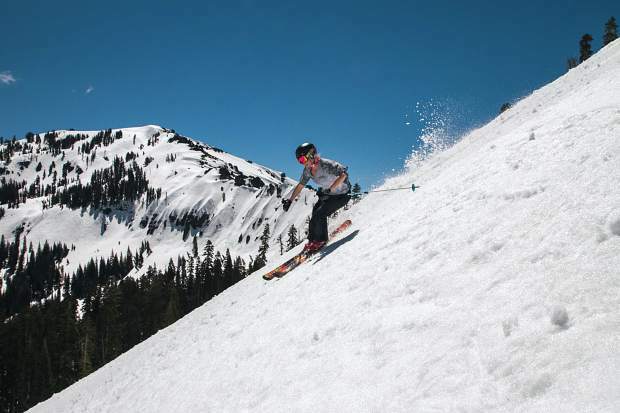 This year’s event will touch down at Squaw Valley on Saturday, March 2, and will add a special twist to the traditional festivities of amateur ski racing and fundraising to support educational programs for people with multiple sclerosis. This winter season, Olympic and World Cup champion Jonny Moseley has joined the series for the first time, helping bring additional funds and awareness to the program. That “different spin” includes a chance to ski, learn from, and race with Moseley and other elite athletes. The event, which is now in its 34th year, has been coming to Squaw for more than 25 years. Last year’s SKI for MS at Squaw brought in more that $80,000 for the organization, according to organizers. SKI for MS has its origins rooted alongside one of America’s great alpine skiers. Before the 1964 winter Olympics, no American alpine skier had stepped on the podium of an Olympic games, but that all changed when Squaw Valley skier Jimmie Heuga and legendary racer Billy Kidd hit the course near Innsbruck, Austria. Kidd and Heuga were sensational during the games, putting an end to the American drought in alpine racing by capturing silver and bronze, respectively. After competing in the 1968 Olympics, Heuga was later diagnosed with multiple sclerosis, kicking off a decades-long fight against the disease. In 1985, the ski community rallied behind Heuga for the first annual Snow Express for MS in Alyeska, Alaska, according to Can Do Multiple Sclerosis, which included 10 Olympians that broke records by skiing one million vertical feet in 24 hours. From that event, Can Do Multiple Sclerosis was later formed, and since that time, SKI for MS has grown into a nationwide series with seven stops. Heuga died in 2010 at the age of 66. The program that he started, according to SKI for MS officials, has raised more than $12 million, thus far. Moseley will be at Squaw Valley the first Saturday of March with a crew of other world-class skiers and athletes, including base jumper and skier JT Holmes, Olympic cyclist Tyler Hamilton, and Olympic skicross racer Errol Kerr. “One of my favorite things to do is ski with people,” said Moseley on what the day will be like. “Out of me you can expect, definitely a lot of coaching. I love to give people tips, especially when we get into the moguls. 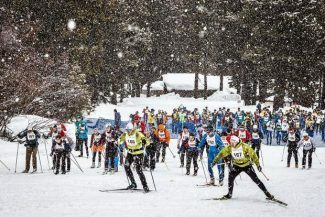 The event begins at 10 a.m. with skiing the mountain, followed by an amateur ski race with Moseley and the other athletes from 1 to 2:30 p.m. at Squaw’s NASTAR Race Course. New this year will be a costume contest, which Moseley has already emerged as the frontrunner to win. Registration for the event is currently open and can be done either as a team or as an individual at Ski4MS.org. 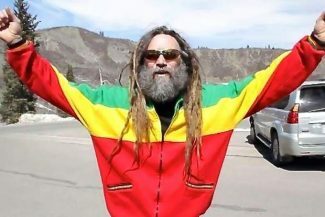 Registration costs $25 and allows skiers and riders a chance to rip up Squaw with Moseley and his crew, along with entries into the ski race, Jimmie Heuga Memorial Ski Down, inaugural costume contest, and après party at Bar One. Through the event’s registration page, Can Do Multiple Sclerosis also provides skiers and riders with a platform to raise funds for the program. Those who raise $350 will receive a free lift ticket to Squaw for the event. Additional funds raised will earn individuals prizes like beanies and socks, sweatshirts, boot bags, and for $10,000 raised, a pair of Liberty Varian Skis will be awarded. For more information on the event or Can Do Multiple Sclerosis, visit CanDo-MS.org.